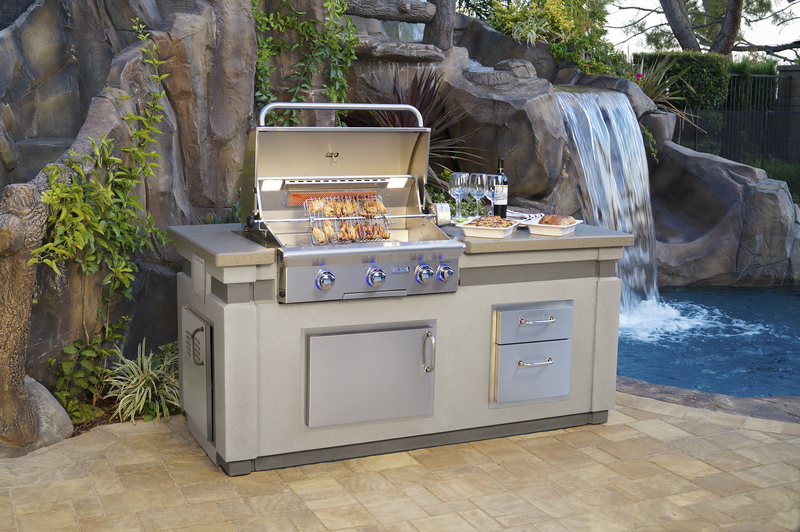 Highlighting a GFRC island designed specifically for the AOG 30” built-in grills, these two handsome new island packages “bundle” the grill with popular accessories to hit sharp price points. 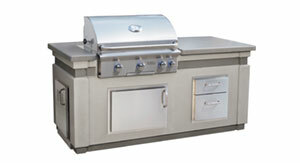 The island has a concrete grey base with a smoke accent strip and kick plate and a polished smoke counter top. 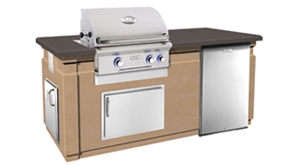 Choose the 30” L-Series island bundle featuring the new 30NBL or T-Series version with the basic 30NBT-00SP. T-Series Island Bundle sold only as complete package with products listed above. 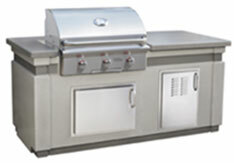 Constructed from durable Glass Fiber Reinforced Concrete (GFRC) and easily assembled on site, these Island Systems are designed specifically for AOG® grills. 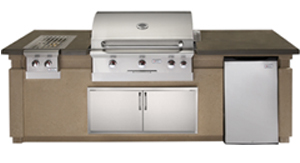 These 5-piece systems include a Cafe Blanco island base with a contrasting polished Smoke counter top.